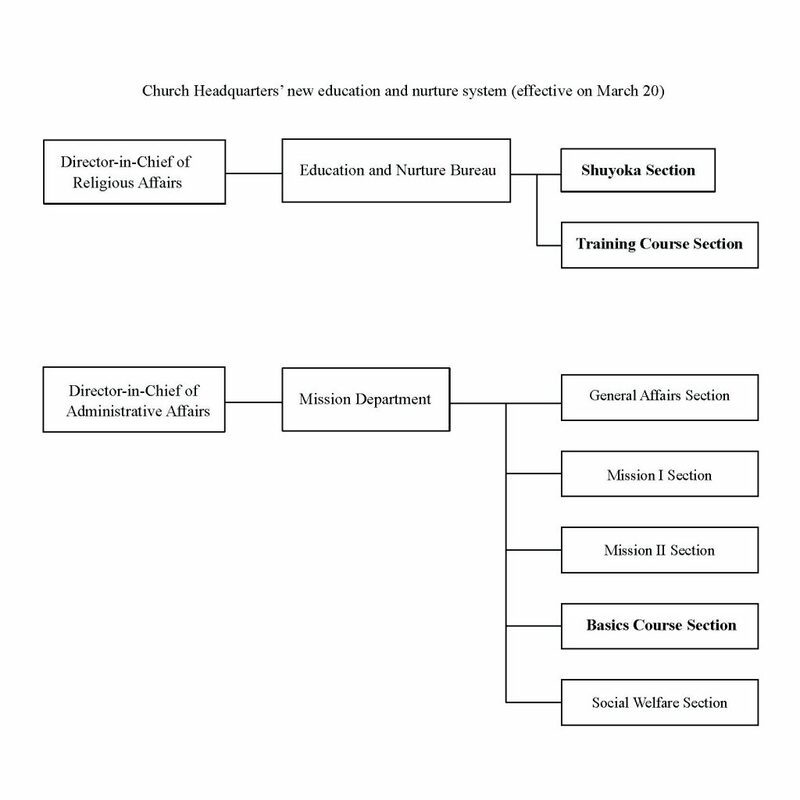 Church Headquarters has announced that the Education and Nurture Bureau [Kyoyo shitsu] will be newly established on March 20 under the jurisdiction of the Director-in-Chief of Religious Affairs. This new bureau aims to streamline and improve Church Headquarters’ education and nurture system in order to better meet the current needs of the Tenrikyo community. The Education and Nurture Bureau will consist of two sections: Shuyoka Section, previously simply called Shuyoka (Spiritual Development Course), and Training Course Section, which will be transferred from the current Education and Nurture Department under the Director-in-Chief of Administrative Affairs. In conjunction with the establishment of this new bureau, Tenrikyo Administrative Headquarters will undergo structural changes affecting some of its offices. The current Education and Nurture Department in the Administrative Headquarters will be dissolved as a result of transferring its duties and responsibilities to other parts of Church Headquarters. The Three-Day Course Section of this department will be merged into the new Training Course Section. The Basics Course Section of the same department, on the other hand, will be transferred to the Mission Department under the Director-in-Chief of Administrative Affairs.